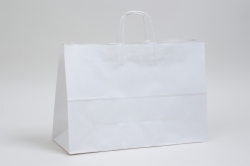 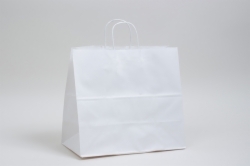 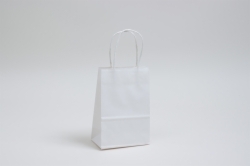 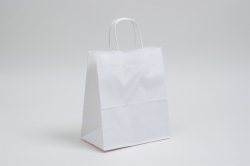 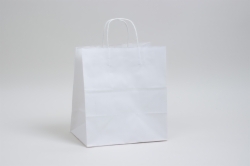 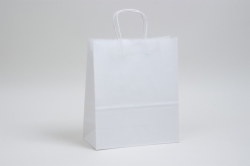 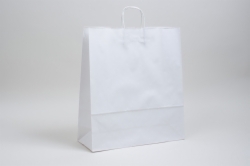 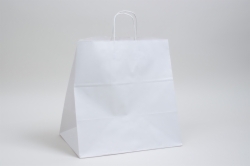 White kraft paper shopping bags are a classic option for retailers who need an affordable packaging solution that is stylish and durable. 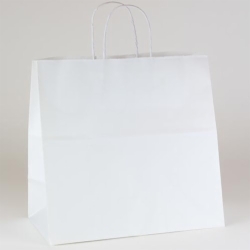 These paper shopping bags are made with high-quality materials and have twisted paper handles and serrated tops. 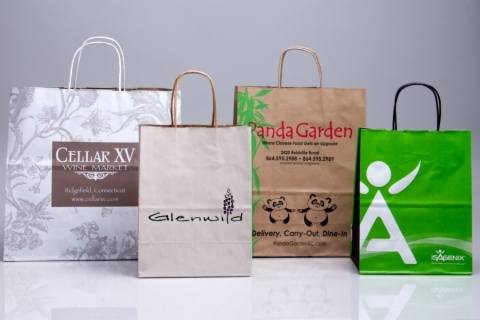 These versatile bags are available in many popular sizes and can be paired with packaging accessories in any color or design.